2008.09.19-22 | Batizado | Performances, Roda’s, special classes etc. 2008.09.06 | Latina Performances | Performed Roda and Samba. 2008.06.29 | Performance at Latina Brazilian BBQ restaurant | Performed Roda and Samba. 2008.06.29 | Pinnacle Realestate Consulting Kid’s Day Performance | Performed Roda for a group of visiting youngsters and their parents during an open house event. 2008.06.26 | Johnnie Walker Performance – Ningbo | Performed 5.5min rehersed routine for Johnnie Walker promotional event in a prominent club in Ningbo as part of the Keep Walking Promotional Tour. 2008.05.21 | Johnie Walker Performance | Performed 4.5min rehersed routine for Johny Walker promotional event in Muse Club in TongLeFang as part of the Keep Walking Promotional Tour. 2008.04.21 | Johny Walker Performance | Performed 4.5min rehersed routine for Johny Walker promotional event in CD club on Jiangning Lu as part of the Keep Walking Promotional Tour. 2007.12.07-09 | Workshop with Mestre Marcelo | Three day workshop with Mestre Marcelo. 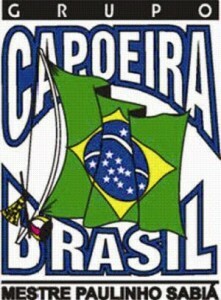 This is when the Shanghai group became part of Capoeira Mandinga. 2006.07.01 | Zapata’s Bar and Grill Performance | Rehersed Performance and open Roda. 2006.06.27 | Zapata’s Bar and Grill Performance | Rehersed Performance and open Roda.